A very pleasing handmade Irish Crochet table doily. 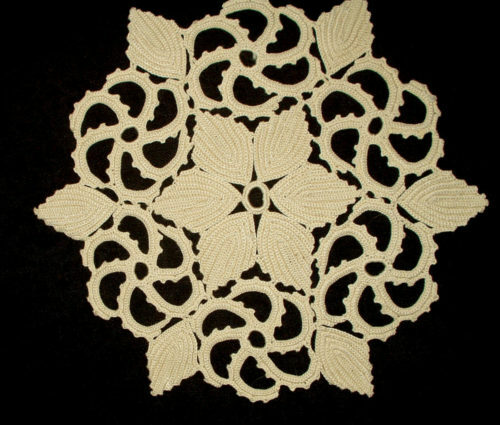 The doily is in an off white color measuring 9-3/4″ wide. Get Our New Arrivals and Specials Delivered to Your Inbox!